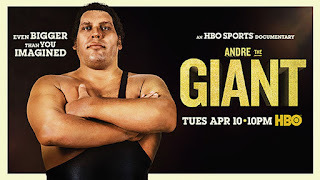 "From HBO Sports, WWE, JMH Films and Ringer Films comes Andre The Giant, a documentary examining the life and career of one of the most beloved legends in WWE history. 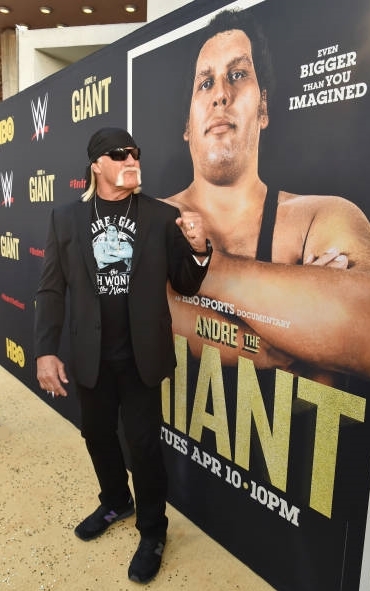 The ambitious, wide-ranging film explores Andre’s upbringing in France, his celebrated WWE career and his forays into the entertainment world. It includes interviews with Vince McMahon, Hulk Hogan, Ric Flair, Arnold Schwarzenegger, Robin Wright, Billy Crystal, Rob Reiner, family members and more. The documentary features an amazing behind-the-scenes look at the WrestleMania III match between Hulk Hogan and Andre as told by professional wrestling historians, Vince McMahon, and Hulk Hogan. 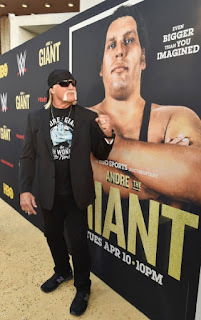 It is an interesting look at Andre and his mindset, as well as the feelings it brings to the surface for the man known as Hulk Hogan. Emmy-winning Executive Producer Bill Simmons, who joined HBO in 2015 and founded sports and culture publication The Ringer, describes Andre as “the ultimate unicorn” and a true legend." Below are a couple of short video clips featuring Andre the Giant, from 1975 and 1985. Andre states that he weighs 444 pounds, in 1975!